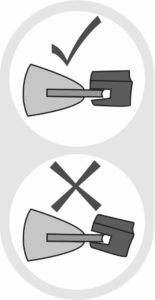 Sharpen one blade edge at a time in the direction indicated by arrows. 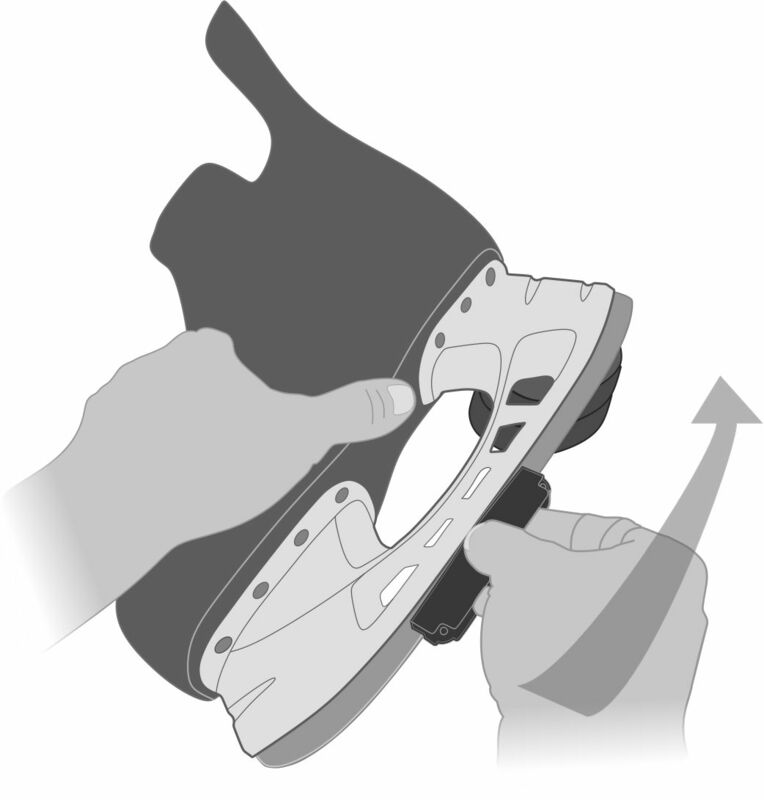 Place skate on its side with two pucks under the heal portion of the skate-blade-holder. Hold the Blade Barber as shown with fingers on the logo. Keep the Blade Barber flat on the skate blade. Slide the Blade Barber along the entire length of the skate blade and apply light pressure with your fingers. Take 4 passes. 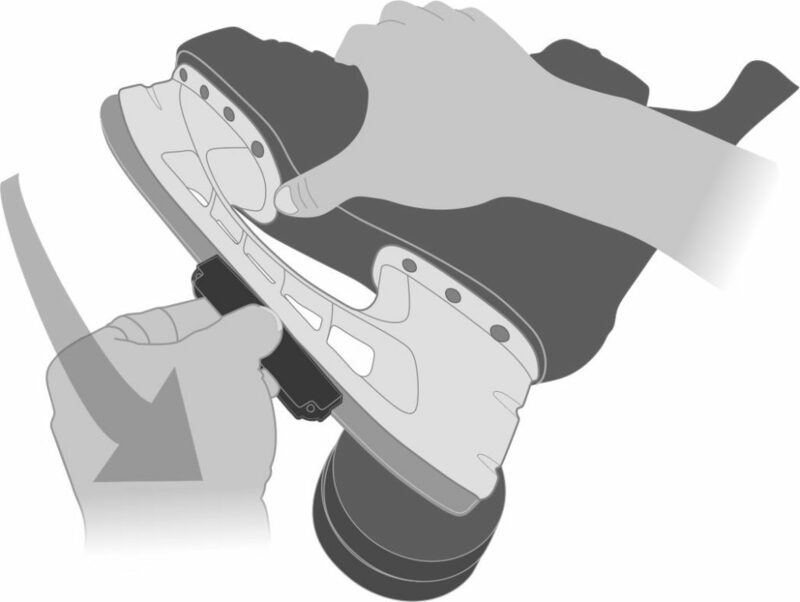 Flip the skate over & take 4 passes to sharpen the other edge. Tap the Blade Barber to remove shavings after each stroke. 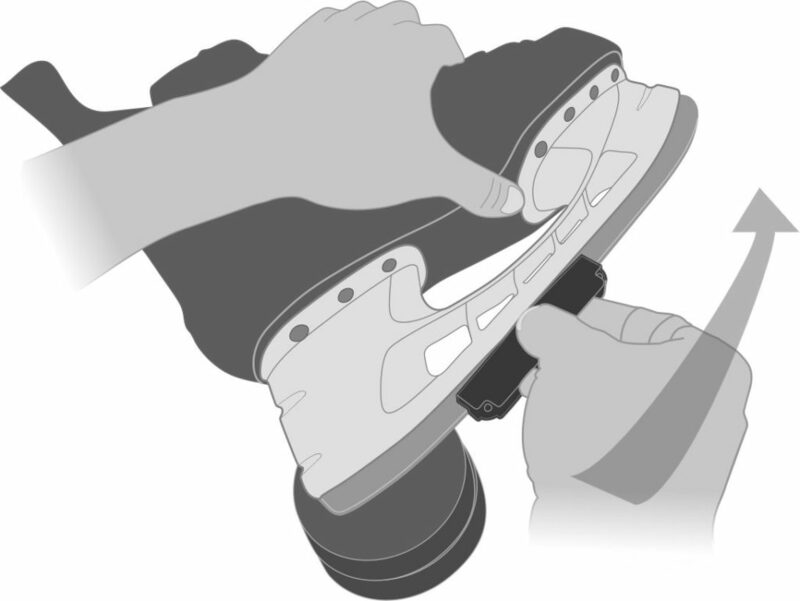 Repeat steps 4–6 until the skate is sharp. Color the hollow with a marker to see the sharpening process. 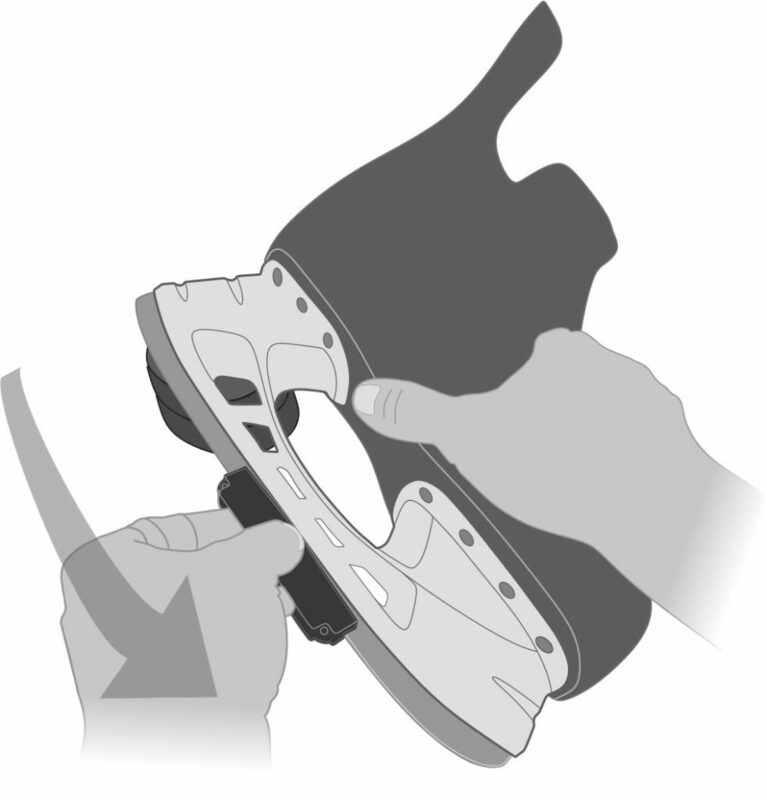 Always push harder with your thumb, than your fingers, or you risk misaligning the cutter blade to the skate blade. There is a 5 minute learning curve. Don’t rush the first sharpening. Don’t use the Blade Barber on heavily damaged skate blades. Use the Blade Barber when a good sharpen dulls, not to fix a bad sharpen.